Asian American Studies Strikes Back! In 1995, student activists at Northwestern University organized a hunger strike to pressure the administration to establish an Asian American Studies program. The hunger strike lasted 23 days, not only raising awareness and support from Northwestern students, but also from campuses around the country. Four years later, in 1999, the Asian American Studies Program was introduced as a minor in the College of Arts and Sciences. This year marks the 20th anniversary of the hunger strike at Northwestern. Next week, Asian American Studies is holding an event, Asian American Studies Strikes Back! in celebration of the student protest that led to the establishment of the program. It's happening Wednesday, May 6 at Northwestern's Hardin Hall. 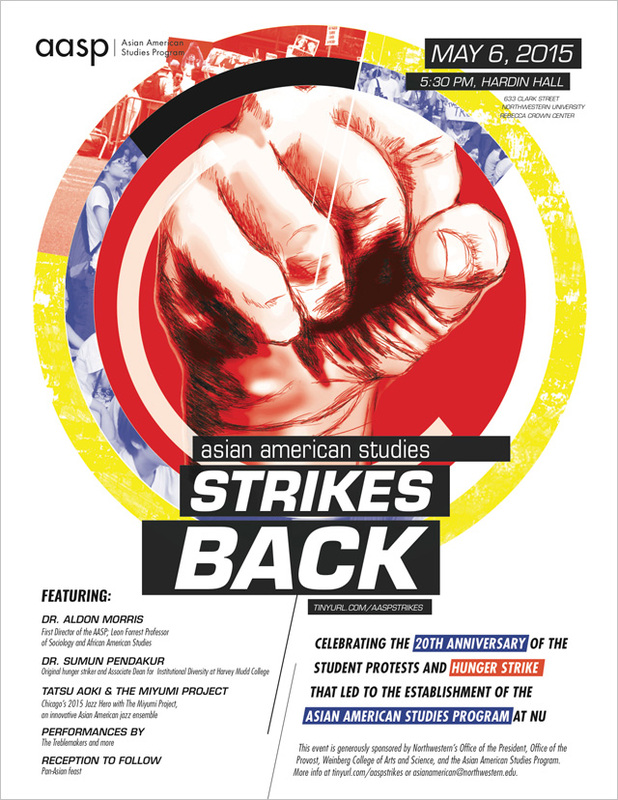 Join us in celebration of the 20th Anniversary of the student protests and hunger strike that led to the establishment of Asian American Studies at Northwestern University! This event is open to all. As an alumnus of Northwestern University, I have a deep, personal connection to this movement. I didn't participate in the hunger strike. It all went down before I matriculated. However, I did take several classes in the newly established Asian American Studies Program, and that curriculum changed the course of my life and career. I can't fully express the debt I owe to this movement. It all started here. For further information about Asian American Studies Strikes Back!, go to the Facebook event.